Step 1: Create a new Icegram campaign / Edit a previously created campaign. B. 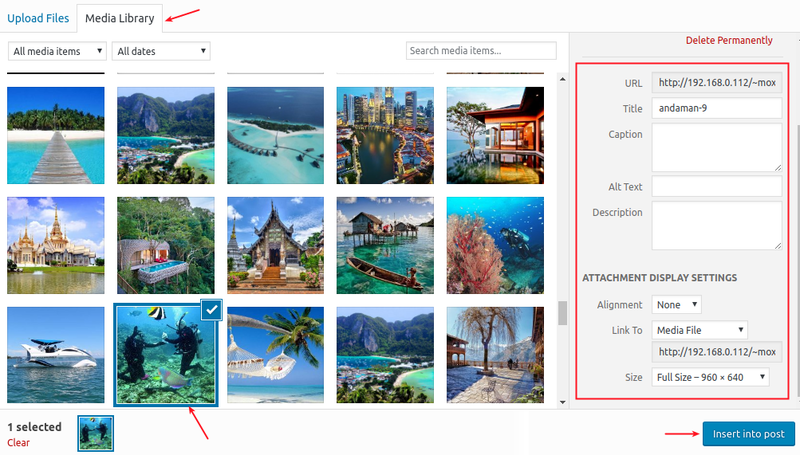 If you want to upload video from your saved items in media library, select Media Library button. Step 3: Select the video you want to add to the message, change the appearance settings of the video from the dialog box on the right hand side such as alignment and finally select Insert into post button. 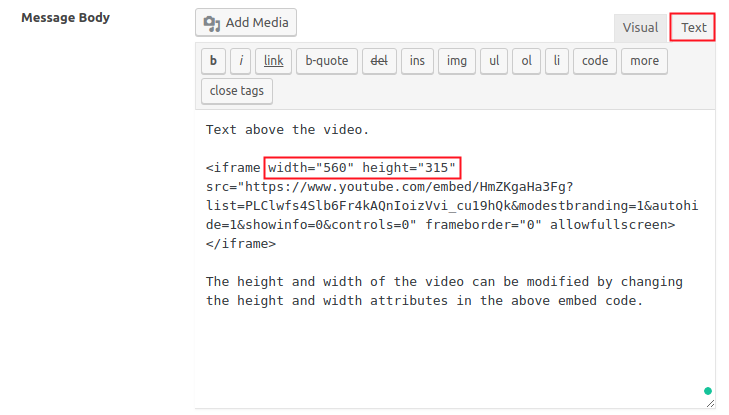 If you want to add video from another website such as YouTube, go to the message body’s WP Editor. Switch to the text editor, paste the video embed code there (all major video streaming sites provide embed codes for sharing videos). If you want to add other text or content, you can add it above or below the video as per requirement. Step 4: Publish/Update the campaign. 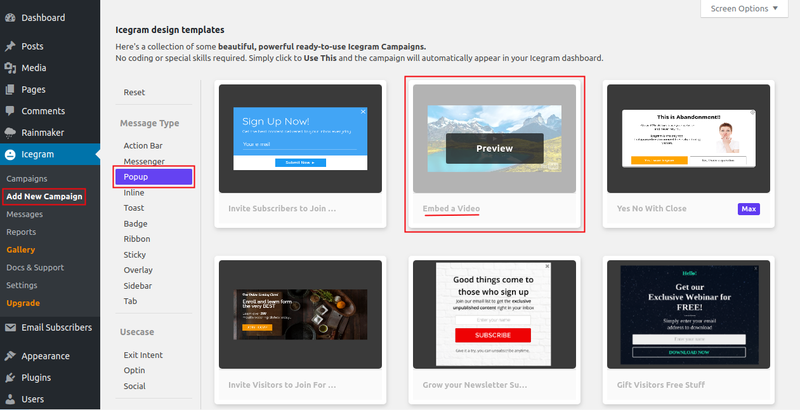 If you want to create a new Icegram campaign go to ‘Add New Campaign’>> choose readymade template >> Follow the same steps to embed the video as mentioned above. Note: The gallery item ‘Embed a video‘ is specially created to show a video within a popup. So you could use it directly. Nonetheless, you can pick any other message type like (Inline, Overlays, Sidebar) to embed your video.